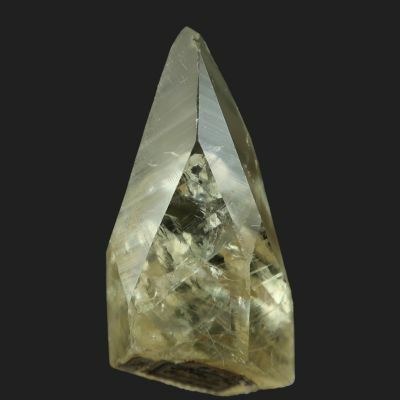 A unique specimen, like none I have seen before from this region. 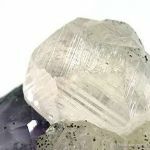 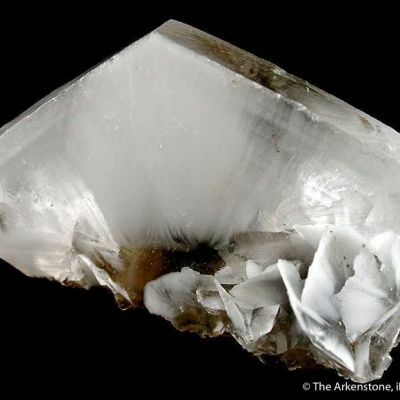 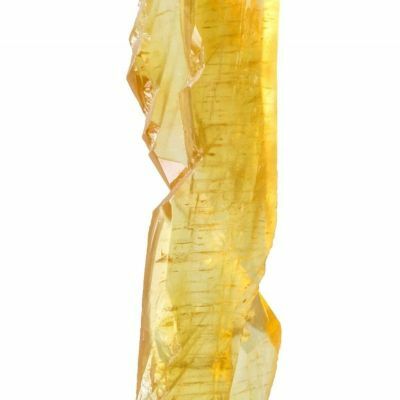 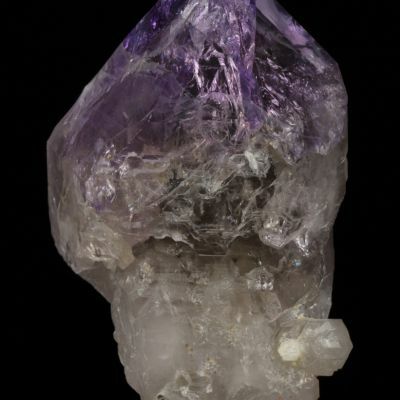 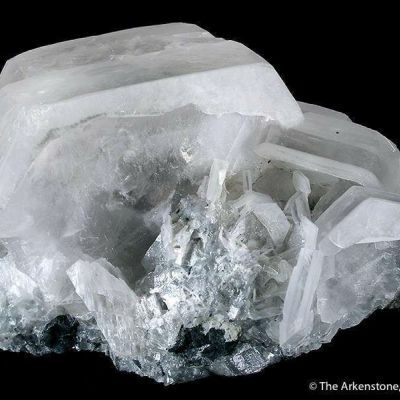 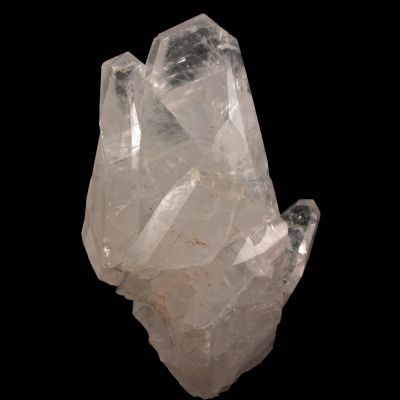 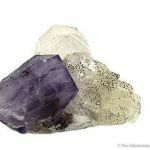 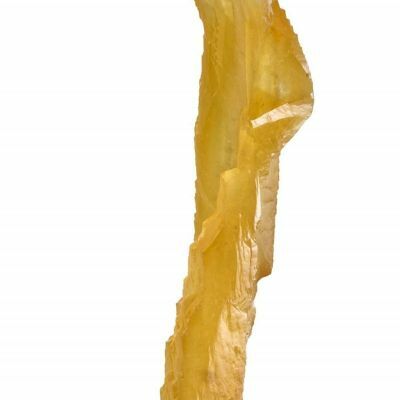 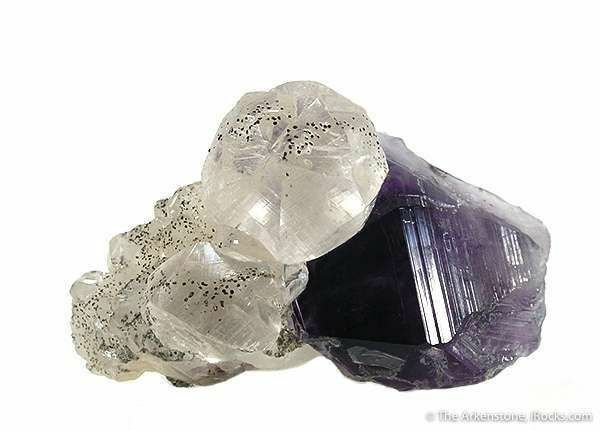 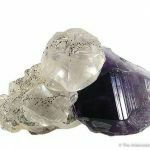 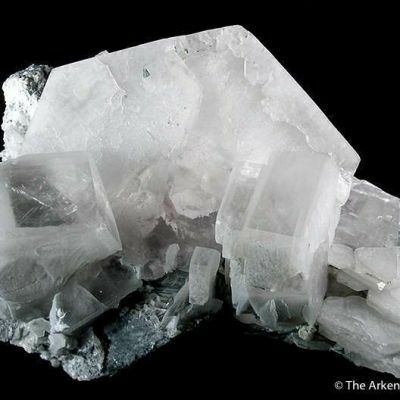 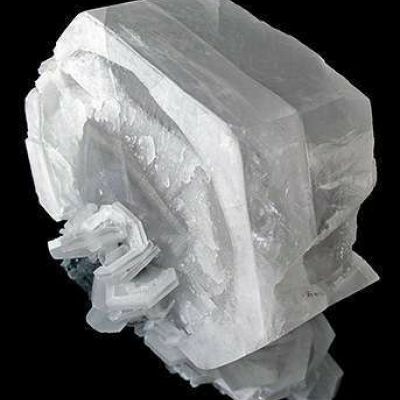 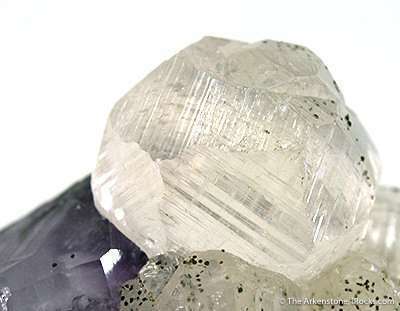 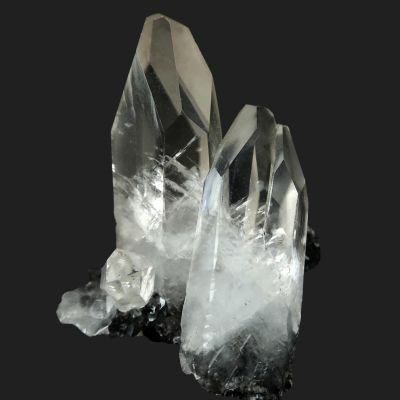 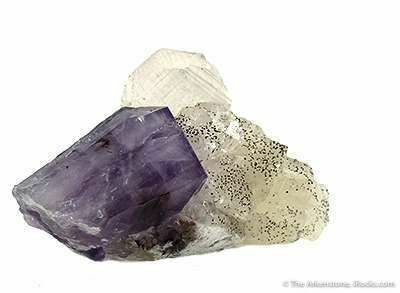 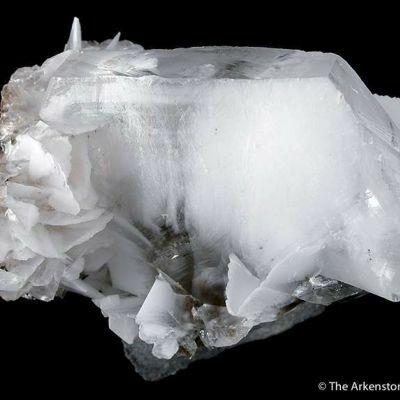 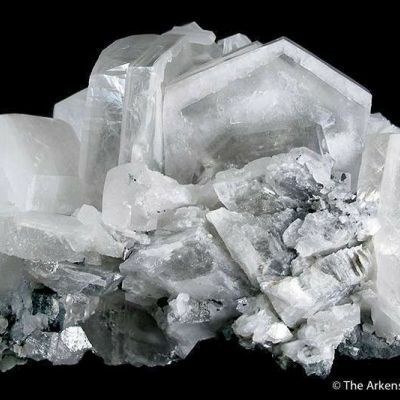 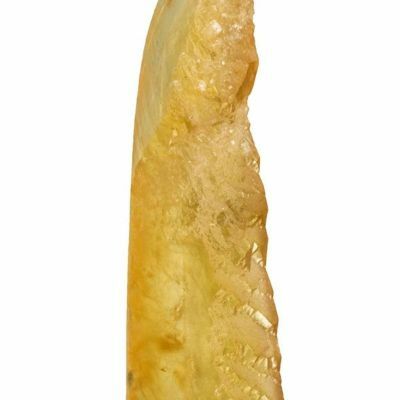 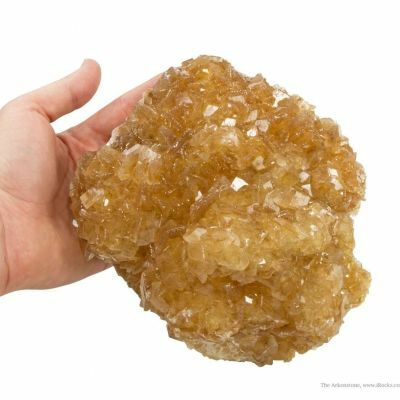 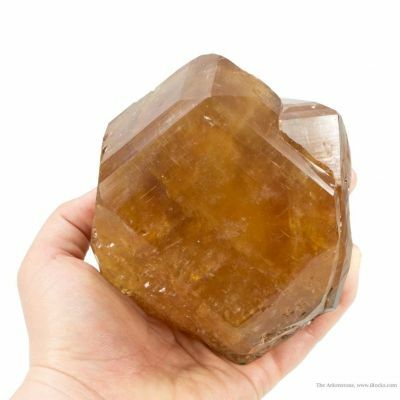 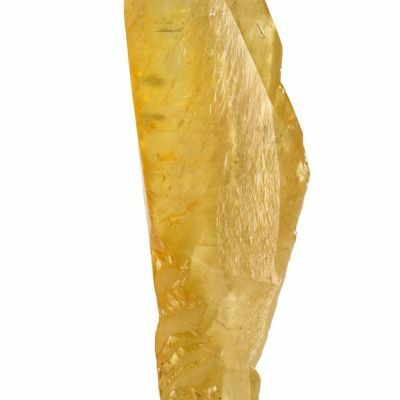 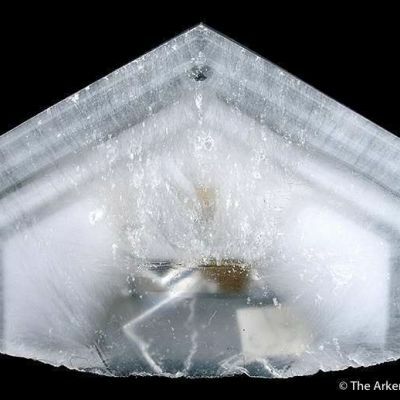 It features a superb, gemmy, transparent, twinned calcite measuring 3 cm across, perched with smaller calcites cascading down the termination of a deep purple amehtyst point. 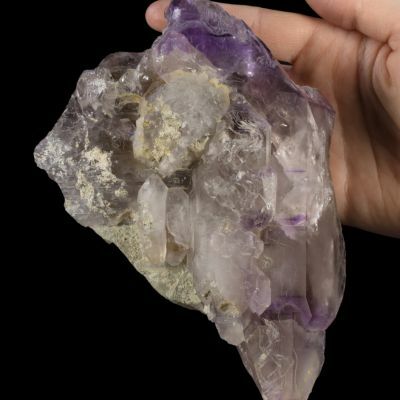 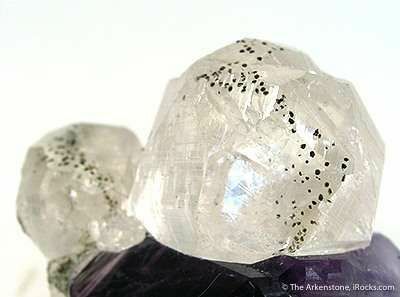 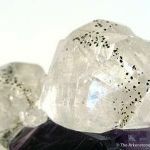 It is amazing such a thing survived being found and cut out of the enclosing amethyst cathedral in which it surely grew. 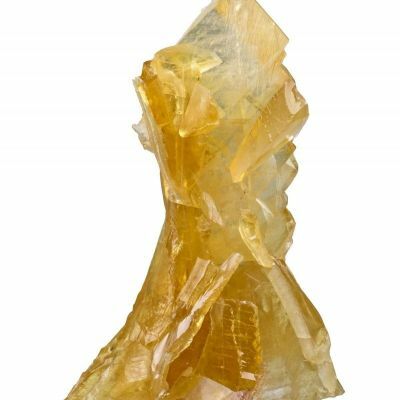 The luster, and contrasting colors, the complex form of the calcite...all combine to make this a really stunning and unique piece.